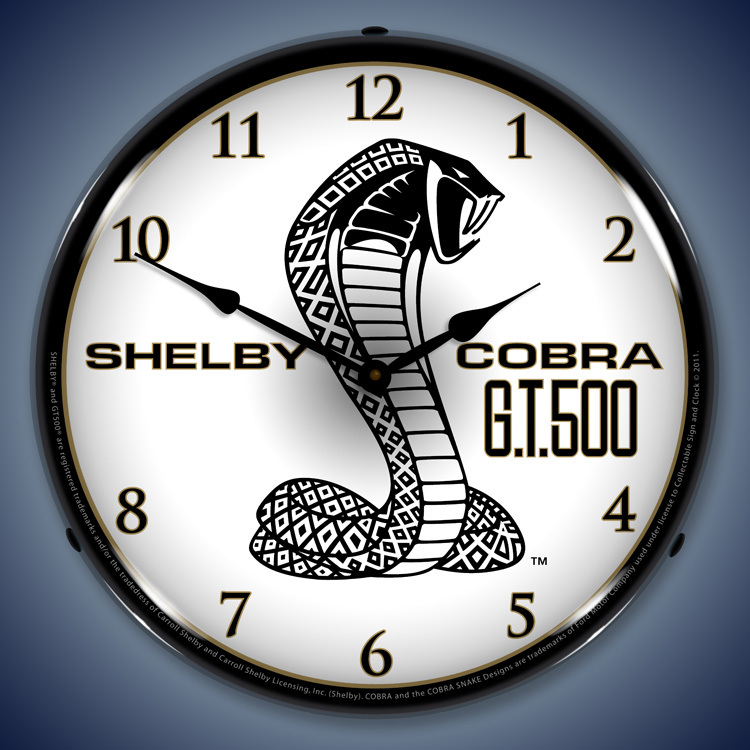 The Shelby Lighted Wall Clocks for the Shelby Cobra, Shelby GT500, Shelby GT500 Super Snake, and Shelby High Performance Equipment attempt to capture the feel and glory of an American Legend, Carroll Shelby and Shelby American, Inc. The Cobra Daytona Coupe. The Classic �66 Mustang GT350. The Shelby GT500. The Cobra Super Snake. Then like us, you�re a car lover of the highest level. 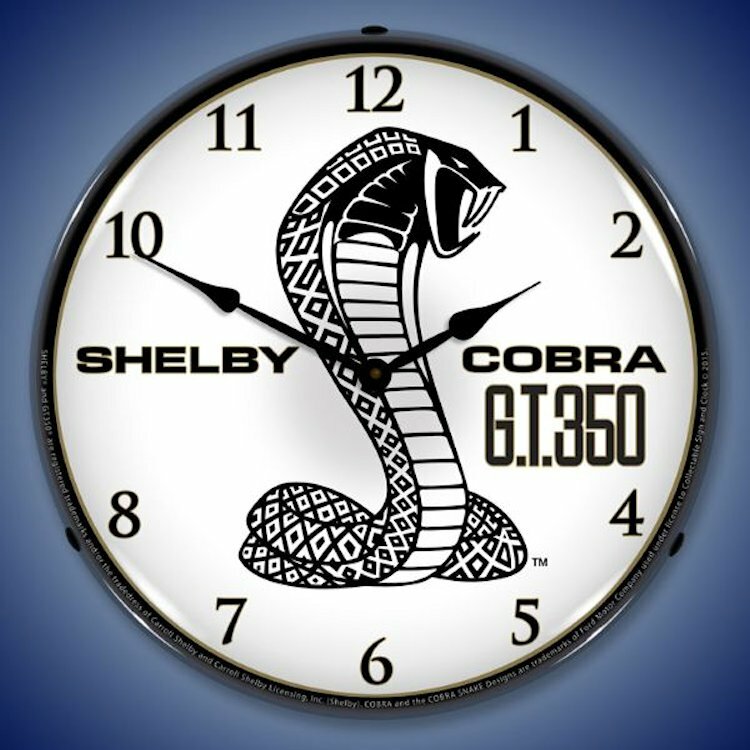 And, like us, you are going to love this series of collectible Shelby lighted wall clocks that honor one of the most beloved classic cars and designers in auto history. 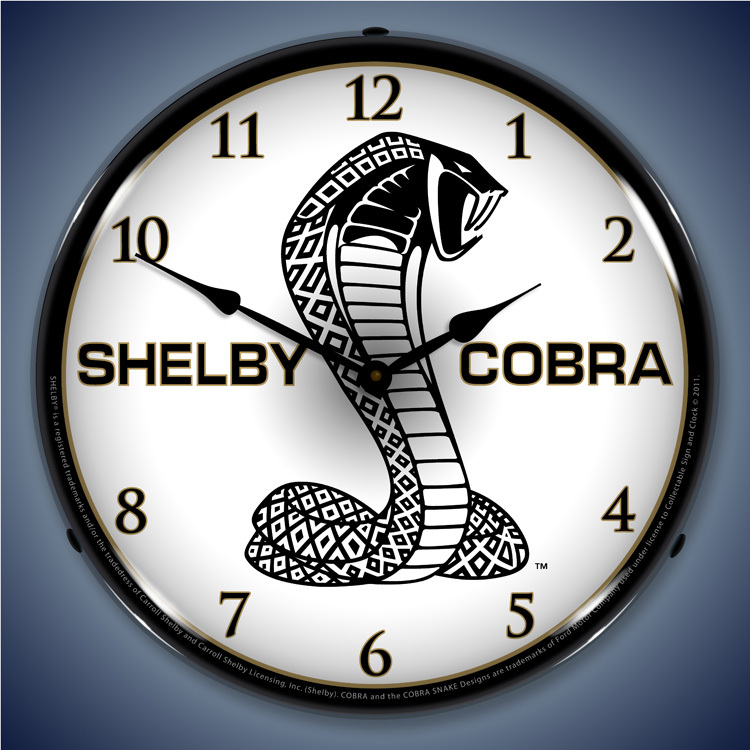 Shelby�s work has inspired every design since his cars first came off the assembly line and have gone on to become some of the most much sought after vehicles in the world. 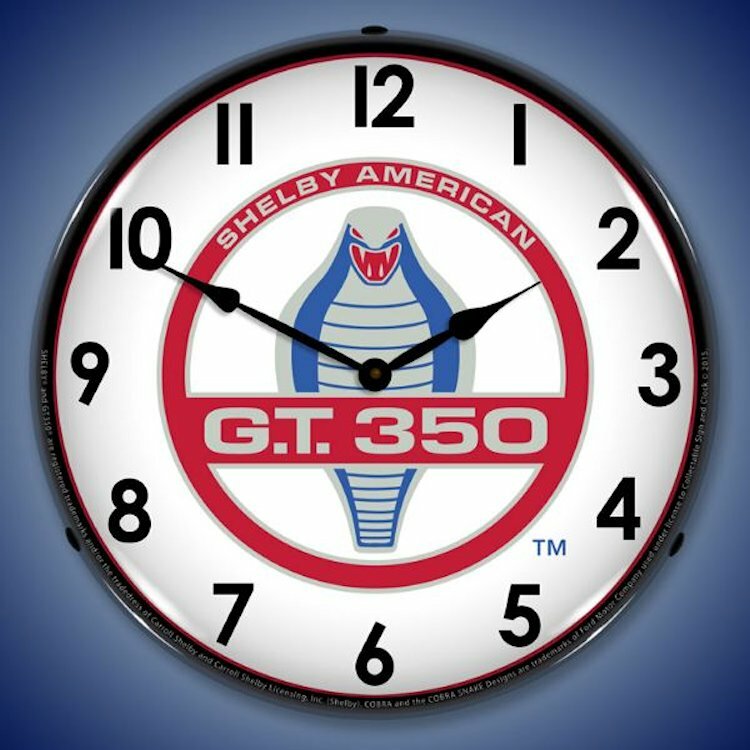 Each clock is a testament to Carroll Shelby�s desire to improve the design and performance of the automobile. 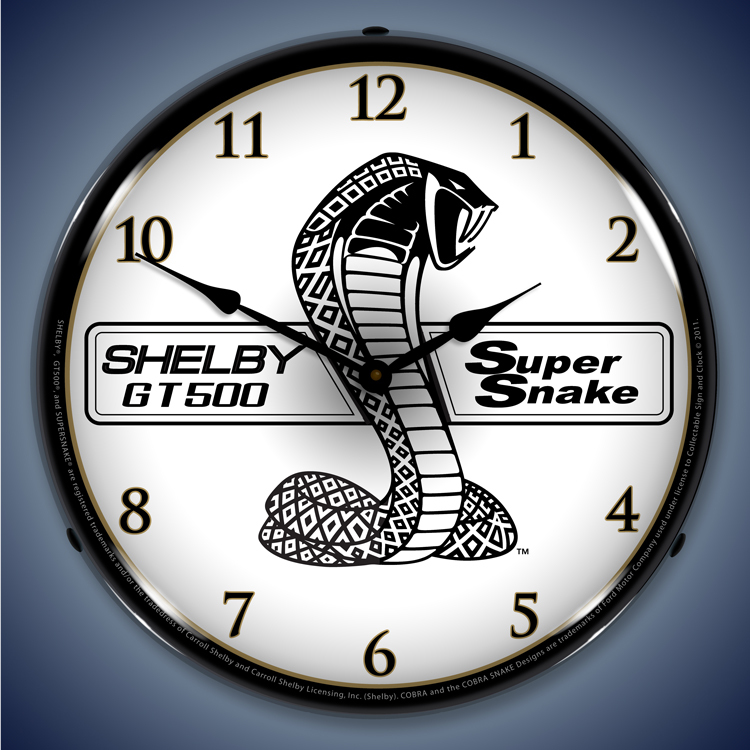 Start out with unique visions for the Shelby snake image, including tributes to the GT500 and a reference to the Shelby High Performance Equipment mantra. 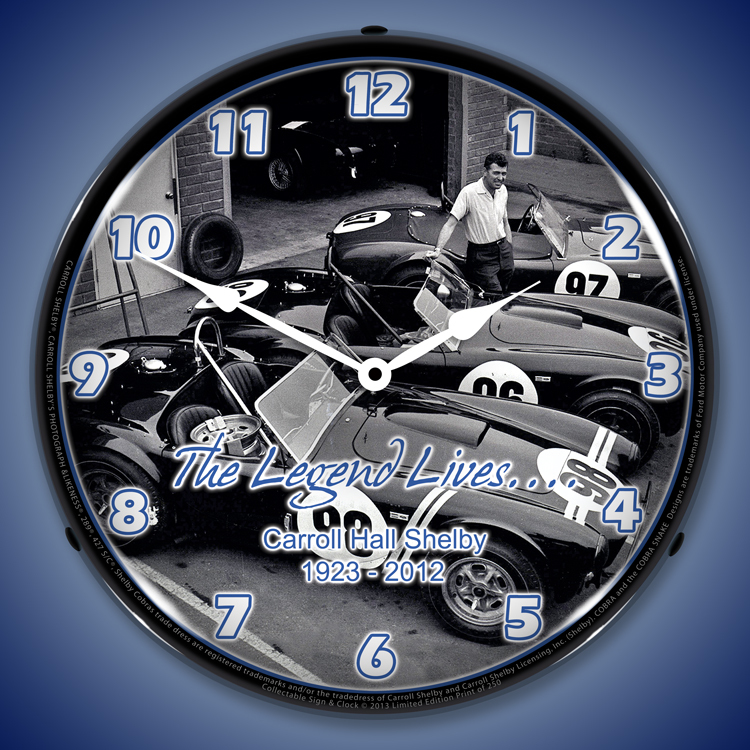 We here at the Motor Bookstore have a particular affection for The Legend Lives� time piece. 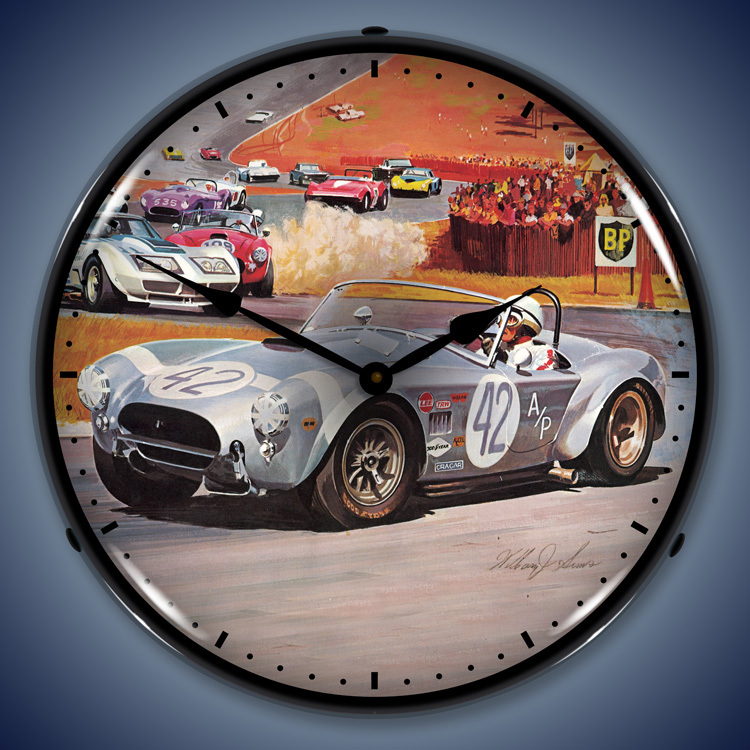 The clock face uses Dave Friedman�s timeless image of Shelby outside his Venice, California, factory standing amid three beautiful cars whose gorgeous lines bring a tear to our eyes. These clocks are designed with a unique computer controlled UV dried printing process that promises to hold up for many years. The shell is engineered from sturdy ABS plastic and a high quality lexan clear outer lens. Just four inches thick and 14 inches across, all time pieces have a fluorescent light that are powered through any standard 110 outlet and the cord�s on/off switch. 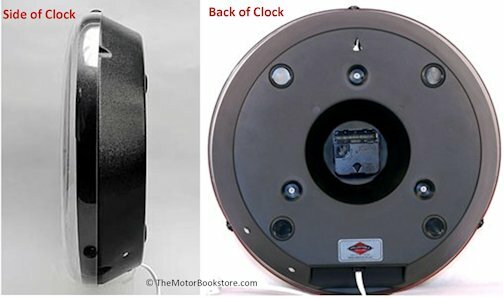 The clocks themselves are battery operated and promise a long lasting performance on a single AA battery - the clock continues to run when the light is turned off. 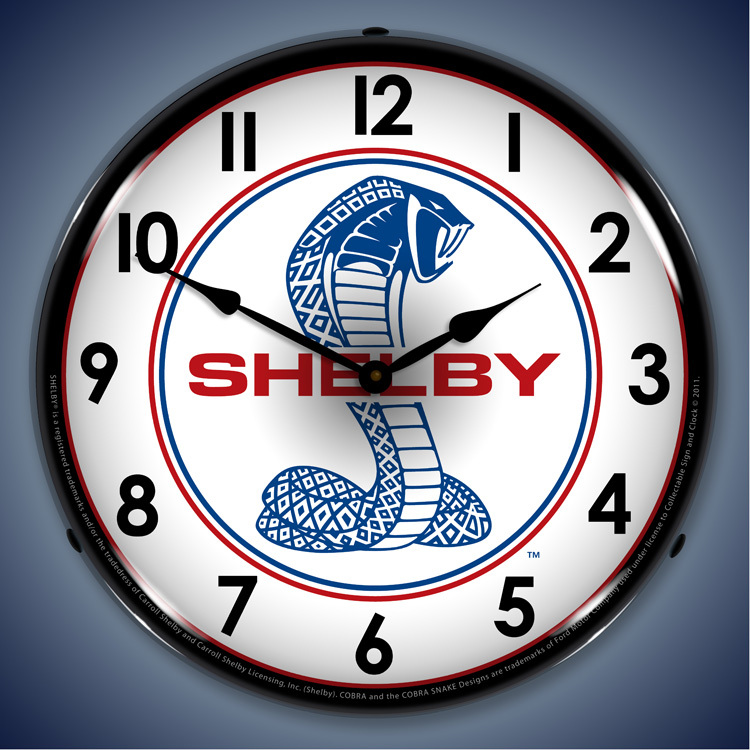 The Shelby lighted wall clocks time pieces offer an exciting and original opportunity to spice up everything from a pub to an auto repair shop. 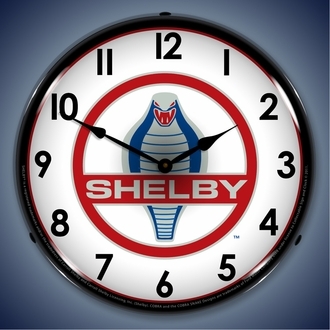 Functional, fun and attractive � like the Shelby � these clocks will also make a great gift for the car lover in your life. 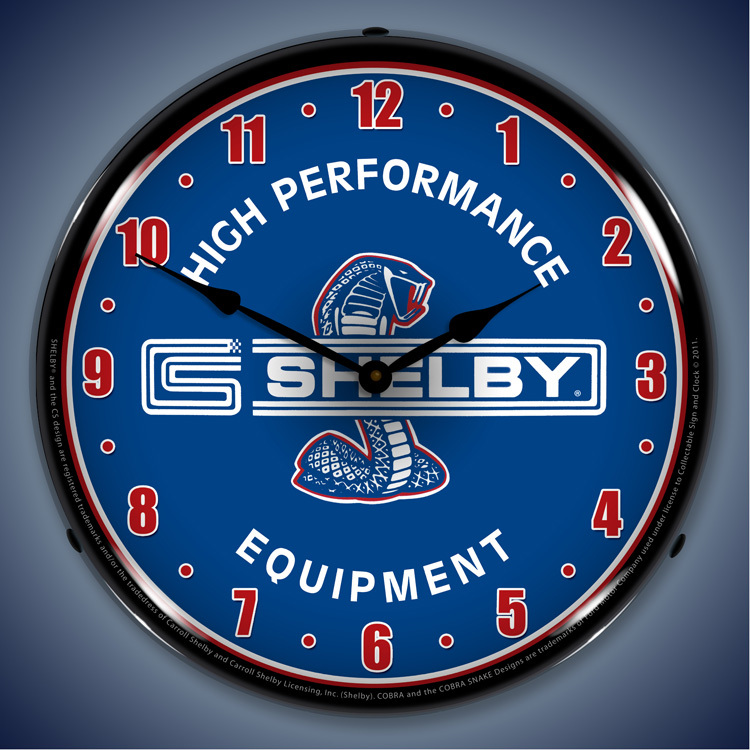 Subject: Shelby Lighted Wall Clocks: Shelby Logo, Shelby Cobra, Shelby GT500, Shelby High Performance Equipment, Shelby Legend Lives, and Shelby Super Snake.